Home AromaTouch TechniqueWhat Is Aromatouch? Whether it is a massage, or simply a hand shake or a hug, all physical touch holds different meanings and there have been many, many studies showing the undeniable health benefits of touch. In fact, touch is essential for health & happiness. But the type of touch can certainly make a difference to the effect, and so even when sharing essential oils, there is a difference between rubbing the oils on someone’s forearm and taking the time to really affect their overall well-being through the AromaTouch Technique. The AromaTouch Technique is a clinical approach to an essential oil application. It provides a safe, simple, yet effective and powerful way to provide every individual with an essential oil experience. This technique gives people a unique experience with essential oils and helps to maintain overall wellness. The true beauty of this technique lies in its simplicity and the amazing effects of the DoTERRA essential oils. 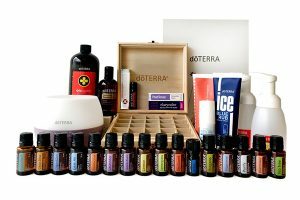 The AromaTouch Technique uses specific guidelines and instructions for both dosage and application that make it a safe and effective way to receive the full benefits of essential oils. AromaTouch is gentle and can be adapted to accommodate young or sensitive skin so that anyone can benefit without the worry of overwhelming the body. What Type Of Massage Is Aromatouch Technique? Aromatouch Technique is a massage technique that uses a light, relaxing pressure. This allows the technique to be used on all ages and all states of health, from the very young, to the very old, and from the physically strong and fit, to those who are frail. The light pressure is also used because the technique relies on the essential oils rather than simply the massage itself. The eight essential oils and blends used for AromaTouch were chosen for their effects on the body. These essential oils and blends have positive benefits on the nervous system, immune system, emotions and the musculoskeletal system. The essential oils are layered in a specific order so that they have health promoting effects on the body and the mind, creating an amazing state of peaceful relaxation. A simple Aromatouch Technique can be used on the hands, but a full Aromatouch Technique treatment comprises massage to the back and feet. I’ve received quite a few light massages in my life from other massage therapists, and each time that’s happened, I’ve left feeling like I’ve just wasted my money and my time. But even though Aromatouch uses a lighter massage style, I’m happy to say that my first Aromatouch experience was AMAZING! I received my first Aromatouch treatment when I did my certification course. I went in with an expectation of what this technique was, and my expectations, due to the reviews I’d heard, were really pretty high. But the experience exceeded my expections (and the lady who massaged me had never massaged anyone in her life! In fact she made quite a lot of mistakes…). As the massage started, I lay there and was like “hmmmmm okay….”, but as the third oil and the fourth oil were applied, I found myself SINKING into the massage table, and by the end my state had been totally changed like never before. I was seriously experiencing some kind of euphoric bliss-like state. It was amazing! I have never had a treatment of any sort that created that type of relaxed, blissful, happy state. I’m super happy to be able to offer AromaTouch Technique to my clients. They’re going to LOVE it! Who is Aromatouch Technique Suitable For? Aromatouch is suitable for everyone! It is suited to all age groups. It is perfect for the young and the elderly, the frail, for those who are ill or recovering from illness. It is suitable for those who are stressed or suffering the effects of lifestyle, and for those who have general aches and pains. It is suitable for athletes, CEO’s, couch potatoes, strung out Mum’s and everyone in between.